In a scathing report, independent legal authorities evaluating the jailhouse informants scandal found District Attorney Tony Rackauckas’ office has a “win at all costs” mentality and is in need of a substantial reorganization. A group of students at Santa Ana’s Segerstrom High School are fighting the school’s dress code, which they say is sexist and degrading. Records of six criminal cases, which include key documents showing prosecutorial misconduct involving jail informants, have disappeared from the Orange County Superior Court’s computer system. 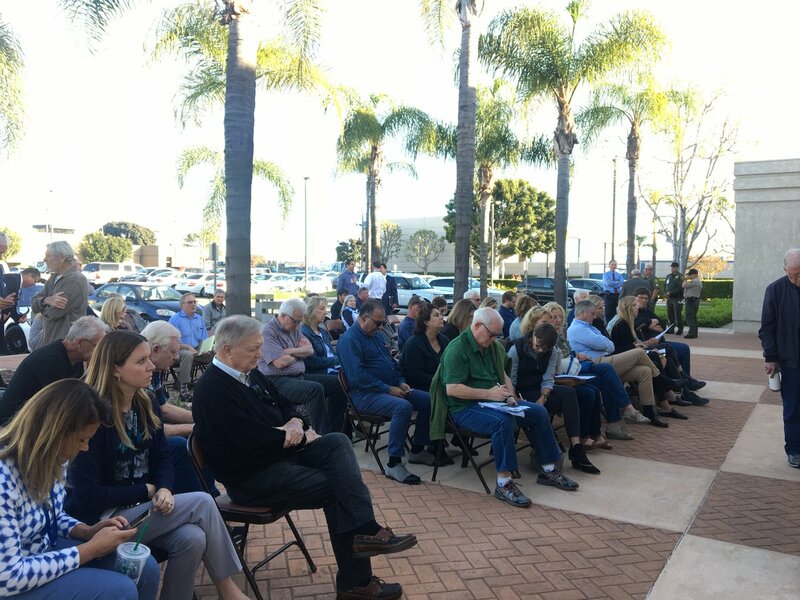 Anaheim police held an open forum with the area’s Muslim community Wednesday to discuss their safety concerns in the wake of the San Bernardino massacre. An Orange County Superior Court judge has ruled District Attorney Tony Rackauckas’ office is disrupting the region’s “orderly administration of justice” by blocking the judge whose ruling broke open the county’s jail informants scandal from hearing other murder cases. An Orange County Superior Court judge has overturned a man’s conviction for a 2006 murder in Santa Ana, ruling that the prosecution team violated the man’s constitutional rights in using a jailhouse informant to win a confession. A letter signed by a who’s who of the legal establishment, led by Erwin Chemerinsky, is the latest fallout from jail informants scandal.